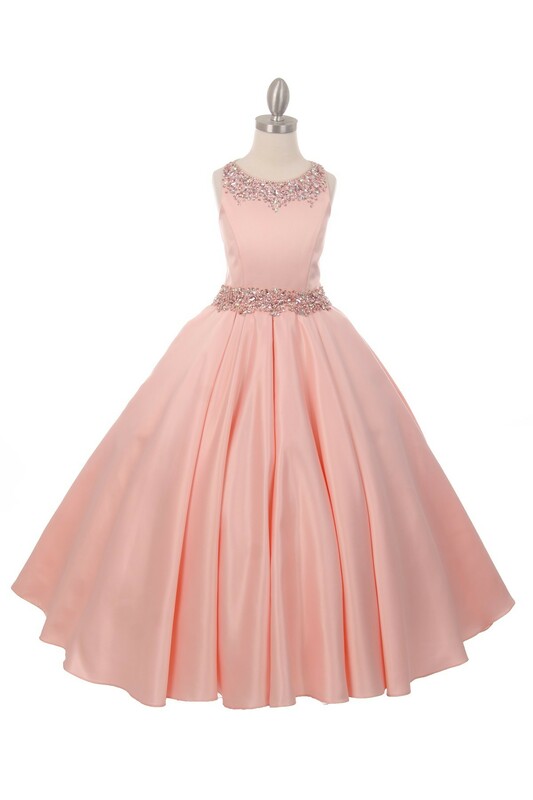 Long Elegant Formal Junior Bridesmaid Dress. 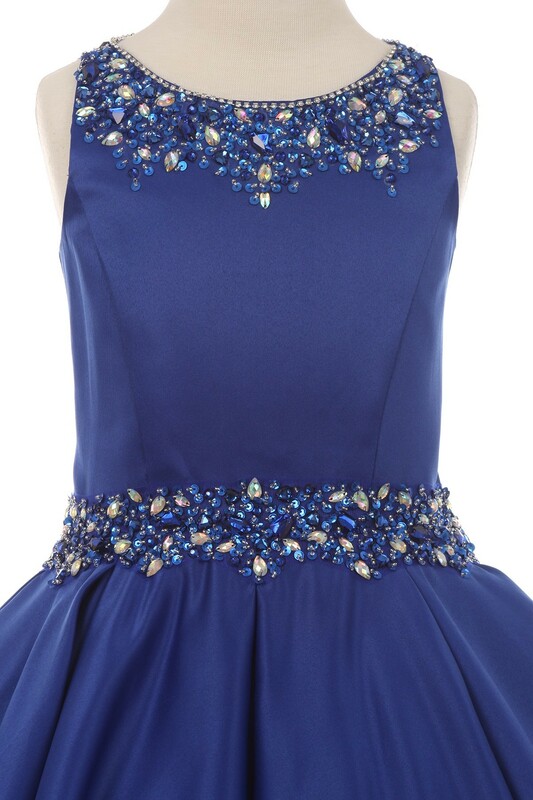 High scoop neckline bodice with shimmering beading adorning the top as well as the waistline. 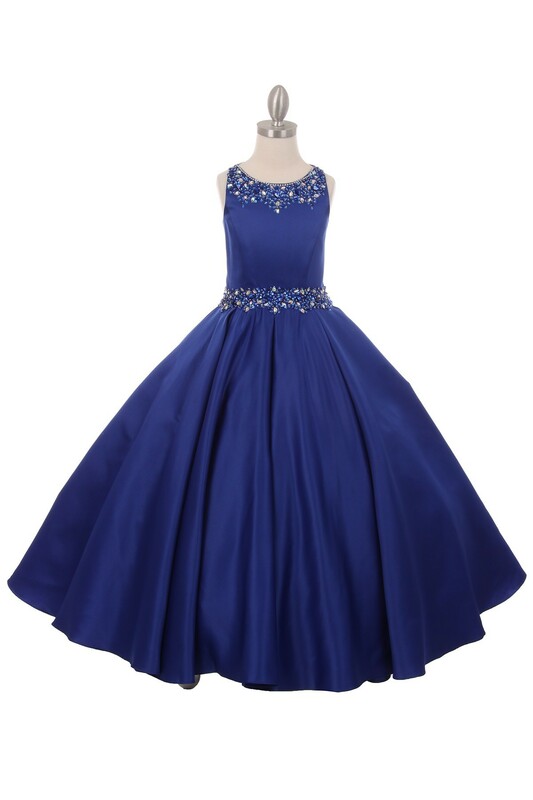 The pleated satin skirt is classic, and the side pockets are the perfect touch to this fun dress. 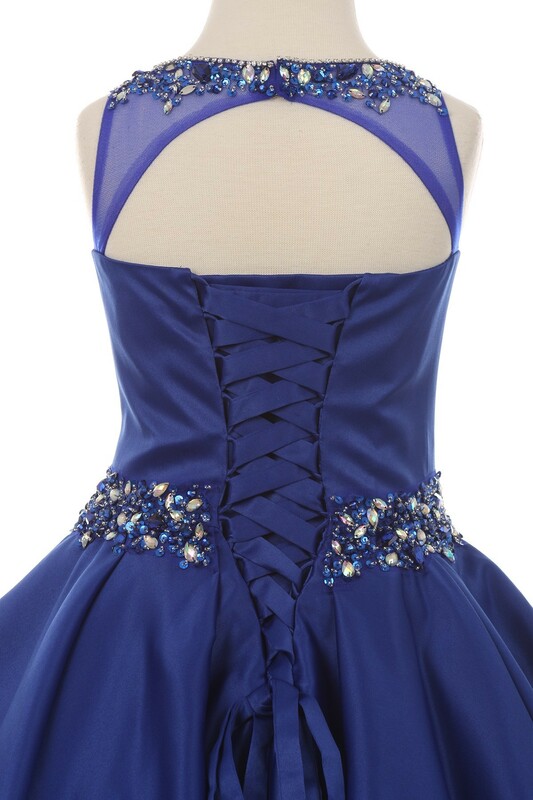 The back is open with gorgeous lace up. 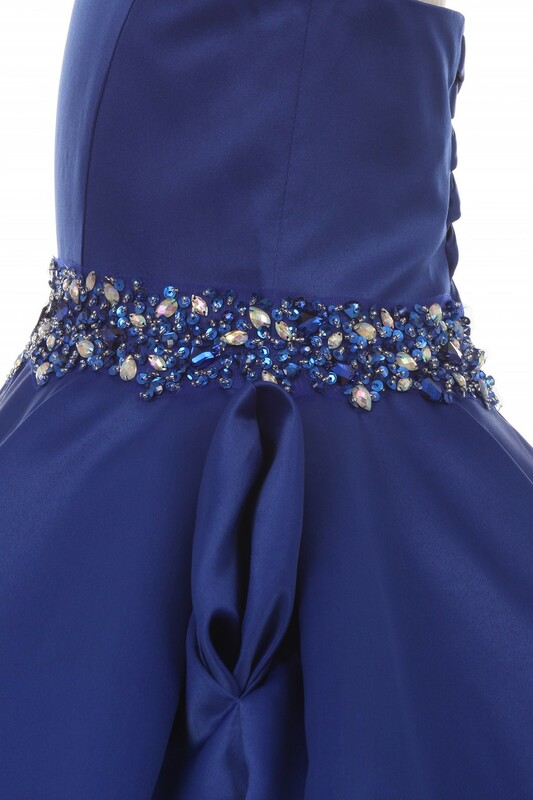 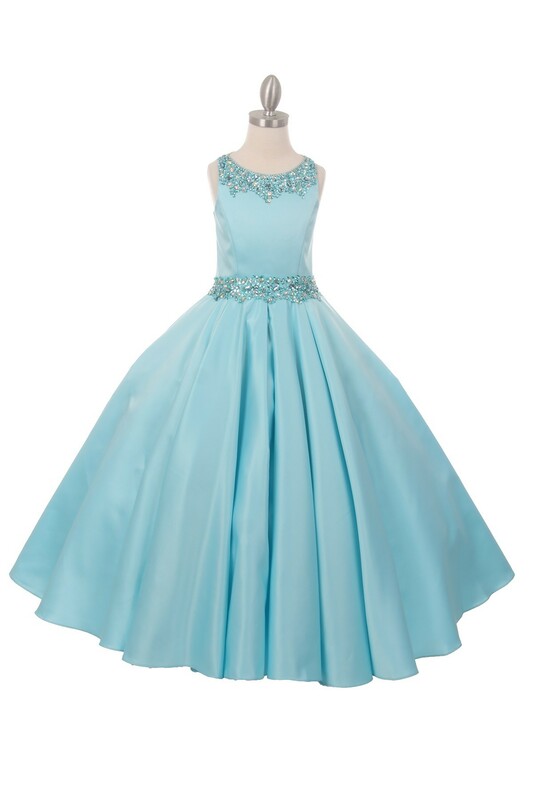 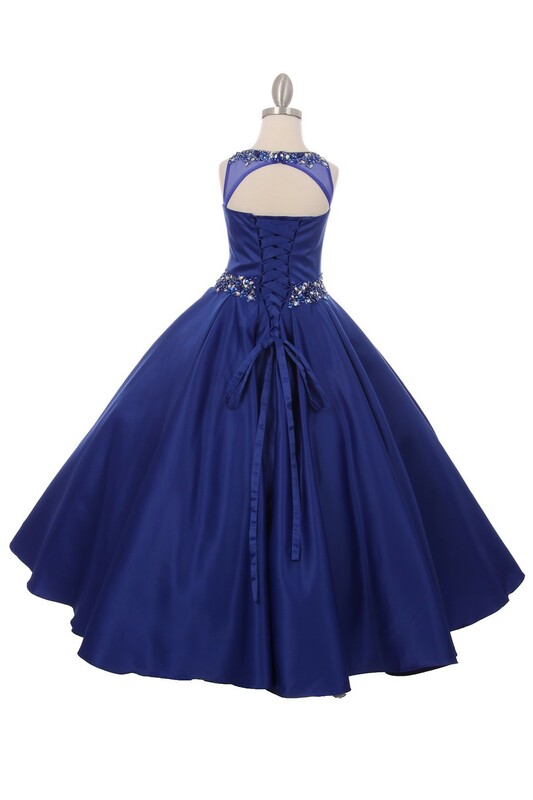 Perfect Long Elegant Formal Junior Bridesmaid Dress.